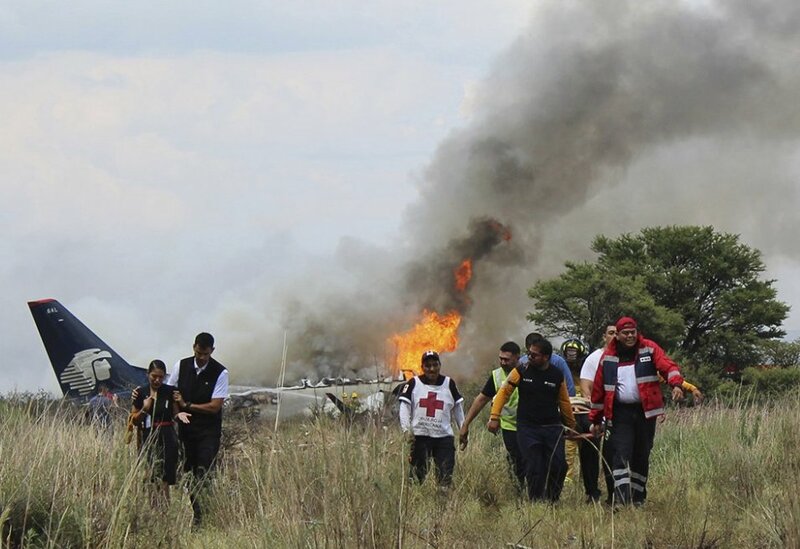 MEXICO CITY, Aug 01: An Aeromexico jetliner crashed while taking off during a severe storm in northern Mexico on Tuesday, smacking down in a field nearly intact then catching fire, but officials said everyone on board escaped alive. The state civil defense office published photos of a burning but relatively intact plane lying on its belly in a field. Ambulances lined up at the accident site to ferry the injured to hospitals. The governor said some passengers got out under their power, and some even wandered back to the nearby airport of Durango city to seek out relatives.